Never forget that photography is supposed to be fun. There are a lot of photographers out there that take it much to seriously and I believe that being serious is not directly related to being professional. Being professional in my books is showing up on time, giving it %110, even if you’re not feeling it and always making sure the client is happy with their results. For this photo I put the lens cap in my mouth sideways, looked down at my camera which was also sideways and hit the shutter release. 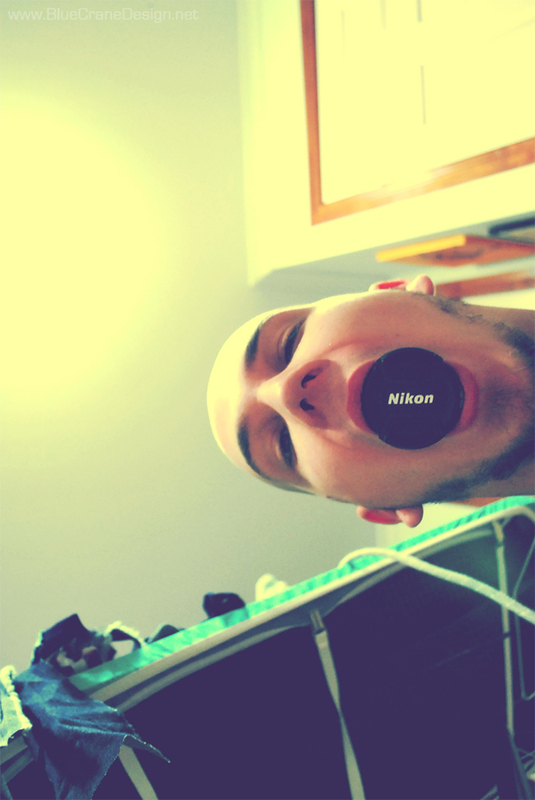 I’m a Nikon user, I’m professional, I can be serious, but I prefer to have fun with it.